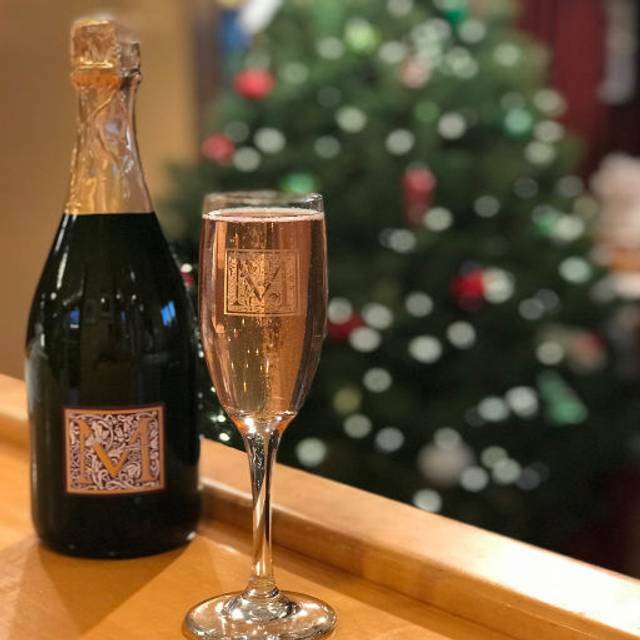 You must make reservations at least 5 minutes in advance of the time at Mayo Reserve Room - Mayo Family Winery. Located in the heart of Kenwood in the beautiful Sonoma Valley, the Mayo Family Winery Reserve Room will challenge your idea of what a Wine-Tasting Tour can be; enjoy views of Local Vineyards and the Mayacama Mountains while tasting 7 Reserve Wines thoughtfully paired with 7 "tapas"-sized bites prepared by a Professional Chef & Wine Team who are personally committed to your Wine & Food enjoyment! 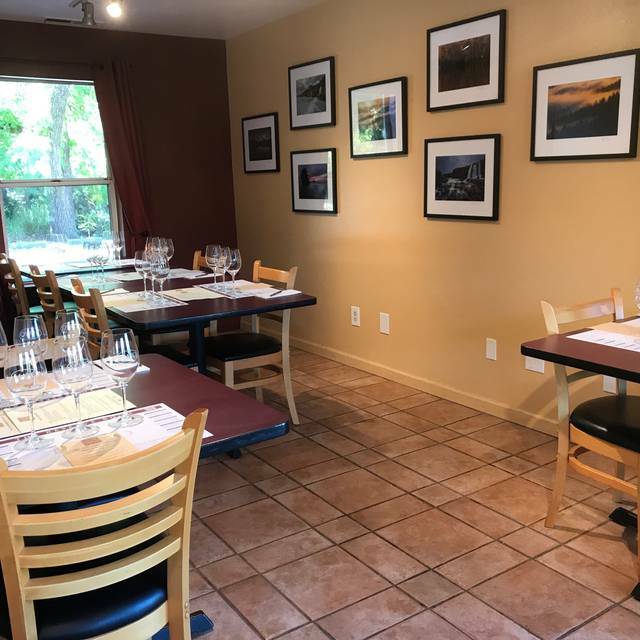 Book your reservation today at the Mayo Family Winery Reserve Room! 2015 Reserve Zinfandel, Ricci Vineyard "Old Vines"
We had a wonderful experience. We were late for our reservation, but John and Trip were very accommodating. The menu was amazing. We savored each pairing. Can’t wait to return for the summer menu. Everything was just perfect. Thanks for being such a consistently great experience! 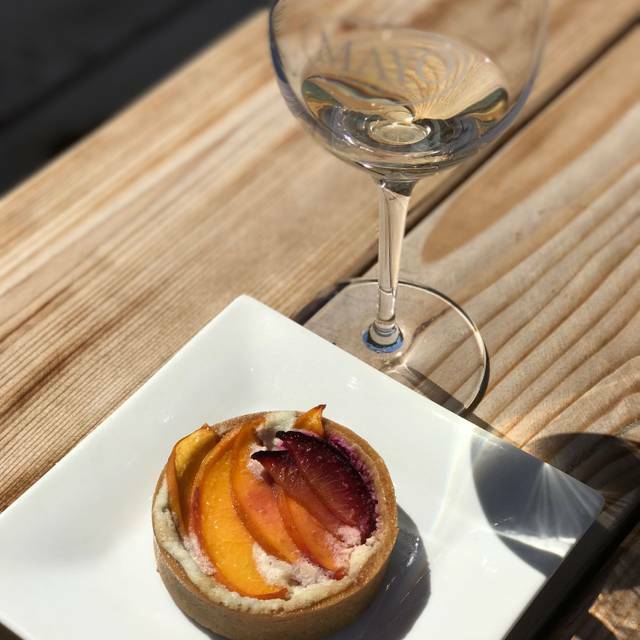 This is one of the best finds in Sonoma's Wine Country -- a wonderful chef prepares a stunning 3-course lunch of small bites that are paired with samples of this boutique winery's offerings. Our starter course were a shrimp risotto, a beet "ravioli," a blini with California caviar. The chef, John Locher, gave us lots of information about the food and wine and how they worked together. What a fun experience! Food and wine was amazing!!! John was knowledgeable and accommodating. Great food and wine pairings! The food and wine pairing is wonderful. Staff is very professional and food was amazing. I highly recommend this to anyone visiting the area. John and Trip provides high quality excellent service time and time again. The service was great and very personal. The pairings were well thought out and the portions generous. The ambiance was warm and inviting. The wines tastefully selected. We were able to relax and enjoy our pairings without feeling “rushed”. We will definitely be back. Always an exquisite culinary experience. I prefer this to the St. Francis pairing because it’s less touristy, you can talk with friends more easily, and the chefs are more a part of your dining experience. Went with family visiting for weekend. John was an incredible host, both with the explanation of the wines and the food pairings. He juggled our food pairing with other patrons whom came in for a wine tasting (at the end of the day so that was a challenge). Looking forward to their spring menu which will come out in about a month. We visited the reserve room for the food and wine pairing. Delicious. The executive chef, John Locher was so informative and his dishes paired perfectly with the wine. He even made vegetarian food for my husband to pair with the wine. In terms of the pairings, one of the standouts was the bacon wrapped scallop with the 2014 Reserve Pinot Noir; it was amazing. Another fantastic combination as was the 2013 reserve Meritage with the delectable portobello mushrooms Wellington. So creative and really shows off the difference in the Meritage with food versus without. A food pairing with the wine makes all the difference. 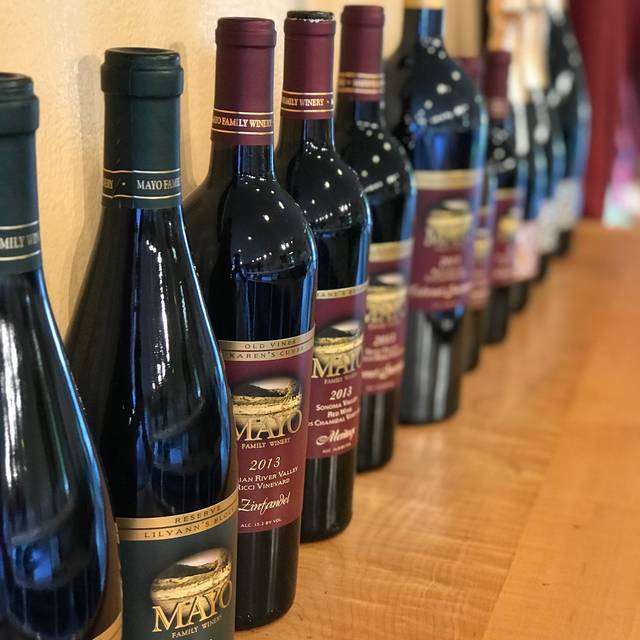 We usually drink wine with food and this winery works hard to helps us understand how to combine delicious wine with delicious food. This food and wine pairing is really stellar. I highly recommend it. Thank you John and the entire Mayo team! Chef John does a great food and wine pairing and provides an amazing ambiance for his guests. This was a fun ladies outing. The food was outstanding, the wines were good but not great. Trip, the sous chef was pleasant and helpful, full of great information. The venue was nothing to write home about (on the highway and sharing the building with a real estate office). 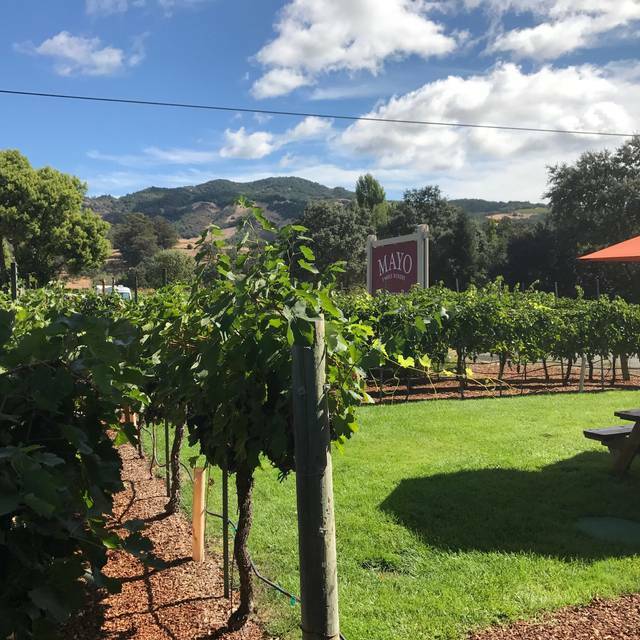 The Mayo tasting room was much more attractive and the surroundings were beautiful. We'd do it again, but there are so many wines and so little time. Therefore, we would probably go somewhere else next time. Excellent. The food and wine were amazing and Jon was super friendly. We will be back. It was our first time there but definitely won’t be our last! The food pairings were delish!! Great pours, great company, and great food. John is hilarious! We booked this to celebrate the end of 2018. 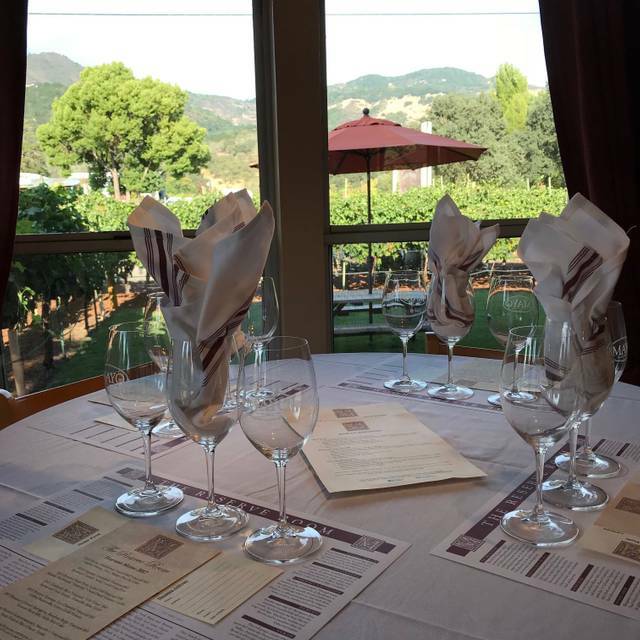 As Wine Country Drivers, we know the best places but don't often get to indulge ourselves. Hands down, sitting down with Chef John at our table guiding us through Mayo's amazing library wines that inspired his creative bites is our favorite treat. We're ready for another blessed year in wine country! Such a fun experience for our friends from LA who love food and wine. Excellent food and wine pairings, great personal service, and something new every season. Highly recommended. Chef John was amazing very attentive and obviously enjoys what he does. Thanks for a great day!!! It was a good place to try new wines pair with foods to bring out all flavors. Excellent experience. Brought two friends back to see for themselves. Everyone enjoyed. Wines are excellent. Food excellent. The pairings perfect. Wine was plantiful. Service was great, knowledgeable. Overall a wonderfully experience. I would do it over and over again. New menu out after Thanksgiving. Can't wait. John and Trip are great hosts and the outstanding chefs. Book your visit now! The food was amazing! And the wine pairing made it absolutely perfect t!!! Wholeheartedly recommend!! Mayo wine is amazing! 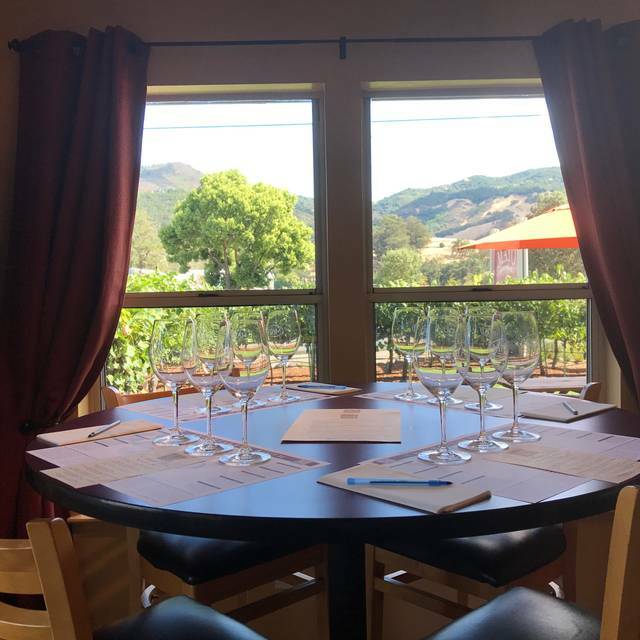 We went to the tasting room for wine tasting, and because we loved that so much we later went to the reserve room for food pairing. The chef is excellent, very creative in his menu items, and explained his thought process in the pairing with wines. We absolutely loved it! 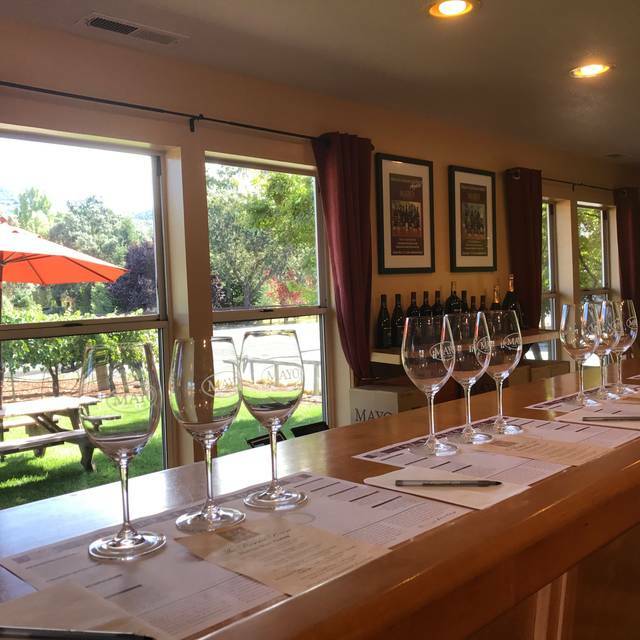 There are many upscale food and wine pairings in Sonoma County. We've tried most of them. The 7-course experience in Mayo Reserve Room is the best value. The wines are excellent and both complement and are complemented by the creative team led by chef John. My tip? 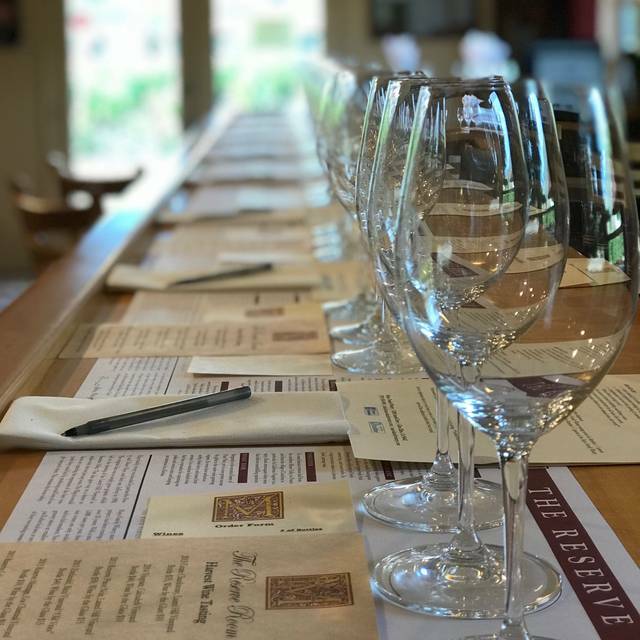 Schedule your tasting mid-day and let it serve as a very fine luncheon in addition to an opportunity to taste 7 excellent wines. Great creative place for lunch! Serve plenty of great Mayo wines along with a 7course tasting menu. Dined here for lunch for the last 11 years. These guys were doing food to pair with their wines long before the other winery establishments. (Notice I say food to pair with the wine - not the opposite). We will return !!! The service and food were fantastic. I wish I could have taken the chefs home with me. Absolutely amazing food and wine. Anyone and everyone should go! I liked the pairing, they did a good job for the value, 7 wine tastings each with a little something and gluten friendly for one of our party. I didn’t necessarily care for the executive chef’s sense of humor which I think dampened the experience overall. Excellent experience. Going to bring more friends back to do the food and wine pairing. Excellent food. Pairings brilliant. Loved the wines. Well done! Chef John treated us to a fantastic experience! The pairings were perfect. The experience has certainly be elevated since we were there a couple of years ago! We will be back! This place is awesome. For $50, you are served seven different course tastings plus a wine that brings the dish to its height of deliciousness. I cannot rave enough about our experience. You need two hours to enjoy all of it. Chef John was gracious, knowledgeable about food and wine, and just overall delightful. We will come back every time we’re in Sonoma/Kenwood. Excellent food, amazing presentation, great wines! Seven mini-courses of food were paired with seven different wines while we sat at a set comfortable table. The friendly chef served and described each wine and food dish. We have been wine club members for years and have never had a bad wine at this family winery. We love tasing wines paired with foods that show them off. A wonderful experience!